Holiday Inn Club Vacations® at Desert Club Resort is only one block from the Las Vegas Strip, offering the best of both worlds. It’s a quiet oasis that’s close to non-stop entertainment day and night. This 19.5-acre gated community is 1 block from the Las Vegas Strip, 25 miles from Death Valley, and 17 miles from Red Rock Canyon. Holiday Inn Club Vacations at Desert Club Resort offers 5 outdoor pools, 5 spa tubs, 24-hour fitness and business centers, free wireless Internet access, complimentary shuttle, and concierge desk. 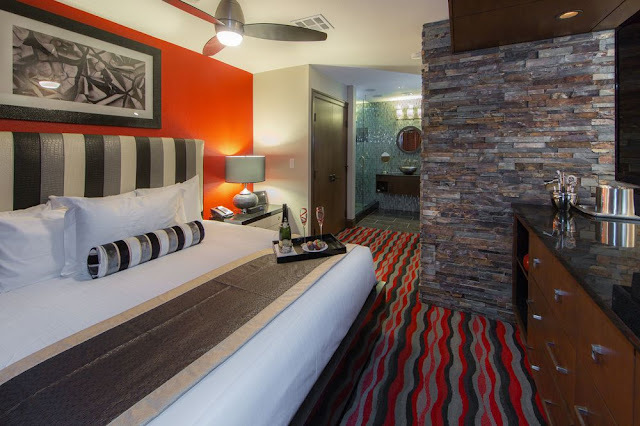 1- and 2-bedroom villas at this Las Vegas resort offer air conditioning, flat-screen TV with DVD players, wireless Internet access, gas fireplaces(seasonal), and furnished patios or balconies.